I did not lose a pound! 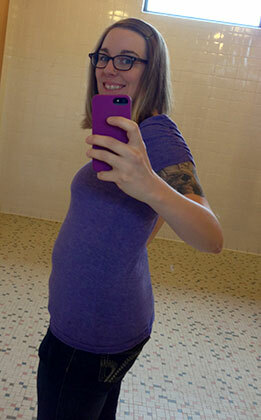 Losing weight after having a baby is so not the same as you normally would try to lose weight. I have to remind myself that my body is not the same and it's still weak and recovering from growing a baby and delivery. It's just a mental struggle because I've lost weight before. I've lost a total of 90lbs since graduating highschool so losing 1 pound should not be hard! Also, since I am breastfeeding I can't cut calories. In fact I still need more calories than a normal gal! It makes my brain hurt! heh. Ok I could've done things a bit differently to help me lose weight. I need to start choosing quality calories over sweets and other high calorie foods. It's also not an excuse to have big extra helpings. Seriously, did I almost have an extra half a burger and beef one no less? Who am I?? Although, next Friday starts the summer week of naughtiness! My birthday, 4th of July and Rob's parents for a week....food fest! I will TRY to be good! I'm also struggling with taking care of Sam and finding time to fit in some exercising. Sam wants to breastfeed as soon as we get home, which I don't blame him, he misses his mama. I'm going to see if I can exercise after dinner and start going to bed a bit later since Sam is sleeping more at night. But again, it's only been almost three months! I'm not upset I haven't lost anything and I'm not hard on myself. Most days I feel great about my body! I look at myself in the mirror and I see the old Suzy, with a bit extra on the hips and thighs. Anyways! Next month will be better. I'm on Top Baby Blogs!